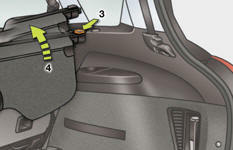 remove the roller from its support from the released end, then from the second. 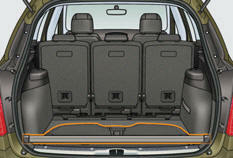 insert the load space screen guides in the rails on the boot pillars. 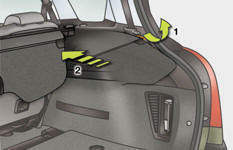 To store the load space screen, place it at the boot sill, roller uppermost and flap facing inwards. 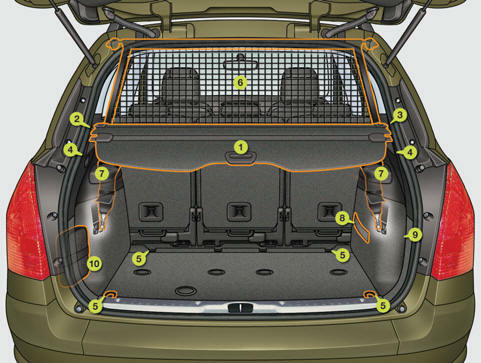 Hooked onto the special upper and lower fixings, this permits use of the entire loading volume up to the roof behind the seats of the 2nd row. To connect a 12 V accessory (max power: 120 W), remove the cap and connect an appropriate adaptor. Turn the key to the ignition on position. 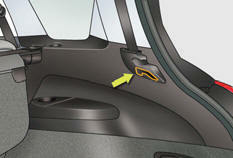 This is a removable lamp, fitted in the boot wall, which can be used to light the boot or as a torch. 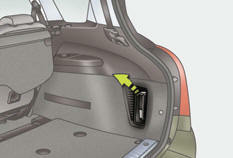 For the boot lamp function, refer to the "Visibility - § Boot lamp" section. 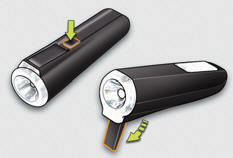 This torch operates with NiMH type rechargeable batteries. 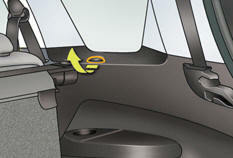 It has a battery life of approximately 45 minutes and charges while you are driving. Never replace the rechargeable batteries with normal disposable batteries. Extract the torch from its location pulling it upwards. Press the switch, located on the back, to switch the torch on or off. 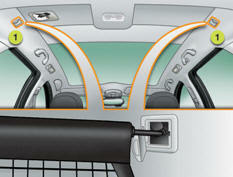 Unfold the support, located on the back, to set down and raise the torch; for example, when changing a wheel. Put the torch back in place in its location starting with the lower part. If you have forgotten to switch off the torch, this switches it off automatically. It the torch is not engaged correctly, it may not charge and may not come on when the boot is opened. 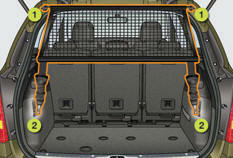 Fitted on the rear windows of the 2nd row, these protect your young children from the sun. 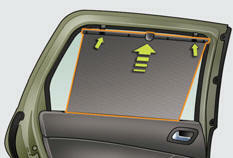 Pull the blind by the central tab. Position the blind attachments on the corresponding hooks.